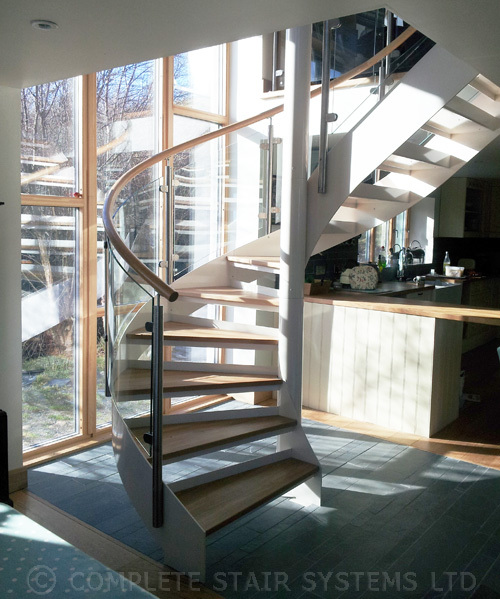 This hybrid straight / spiral / straight staircase was supplied to a couple renovating an old property in the Scottish Highlands. 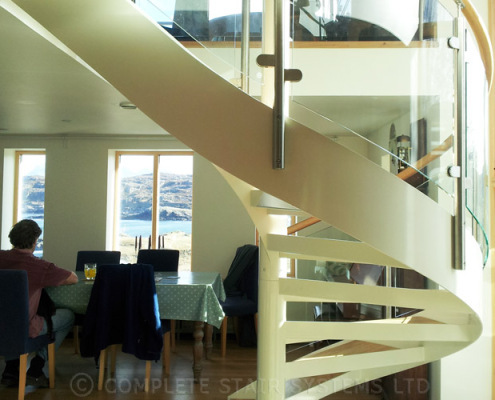 The countryside was absolutely stunning with views across the sea to Stornoway. 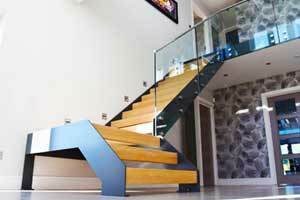 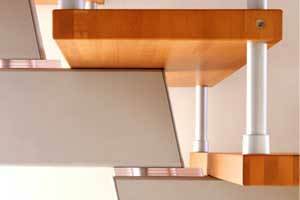 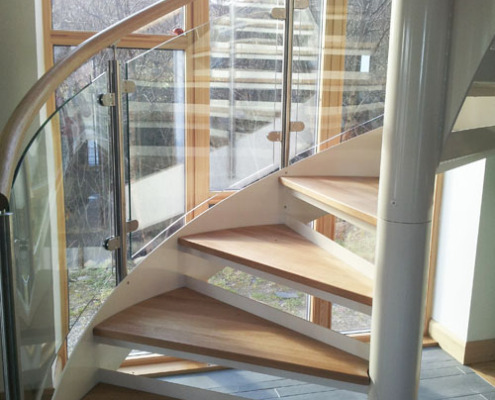 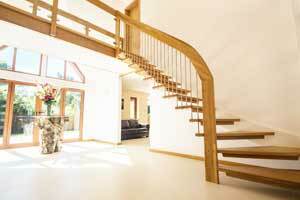 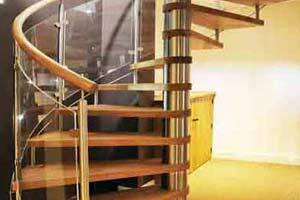 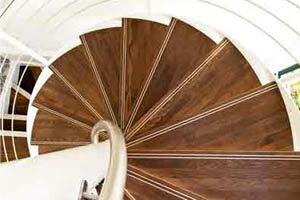 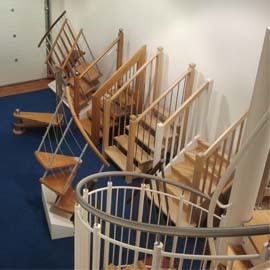 Our client had a large, decent sized floor opening which needed a feature staircase to ascend. 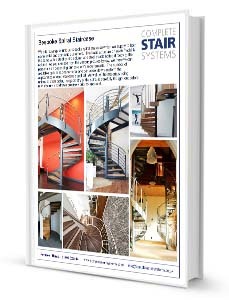 We selected a hybrid staircase supported by a centre column. 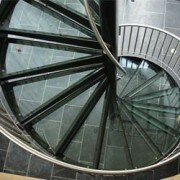 The stair started as a spiral but then continued straight as it connected with the upper floor. 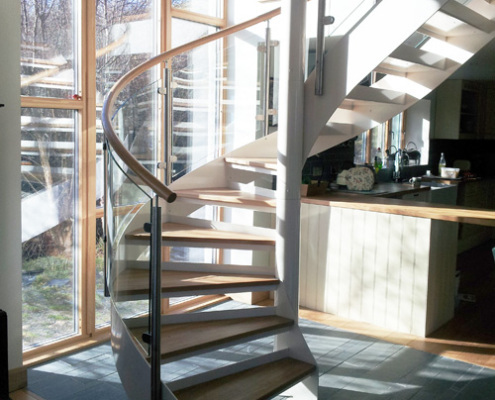 We couldn’t do a conventional half turn staircase here because of the window at the rear of the opening. 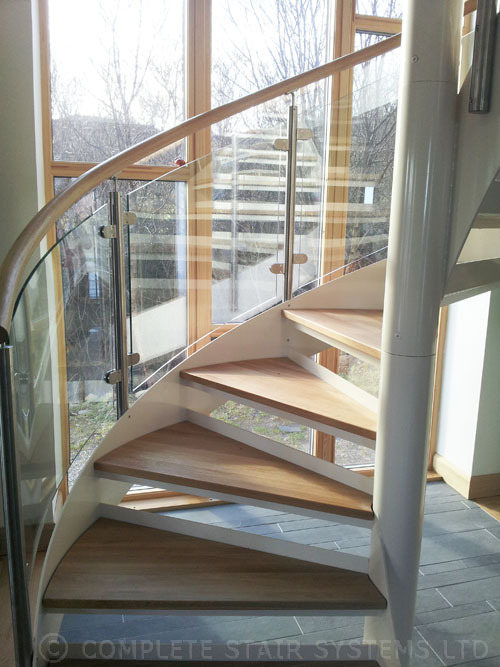 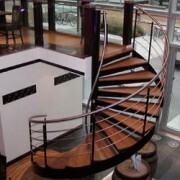 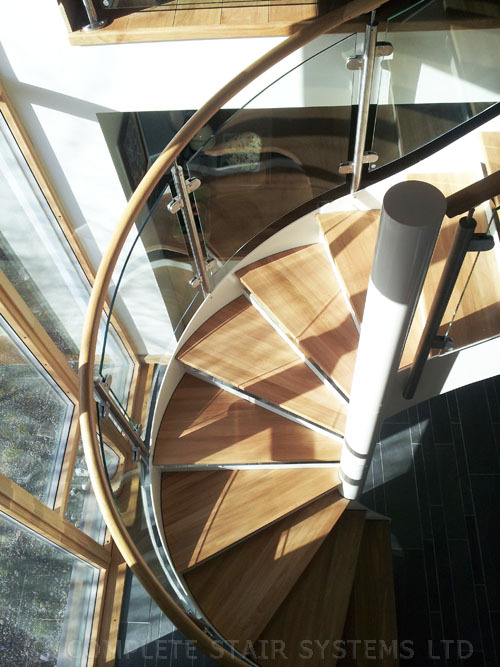 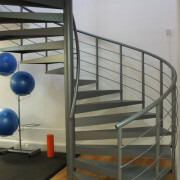 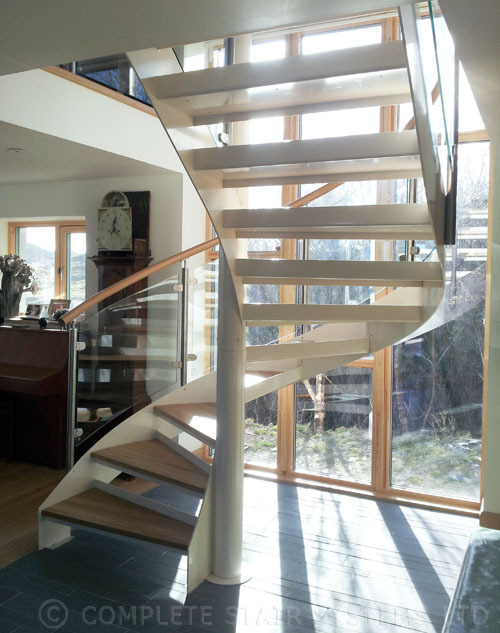 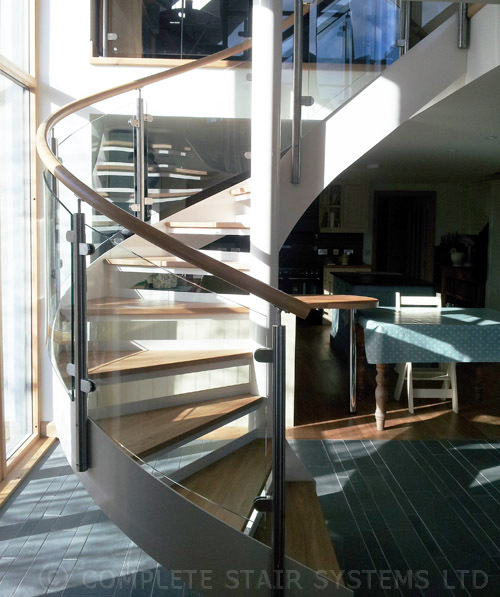 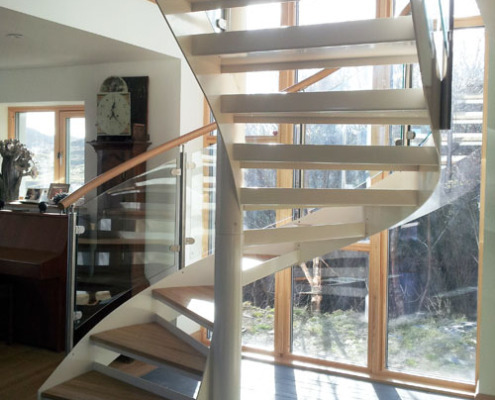 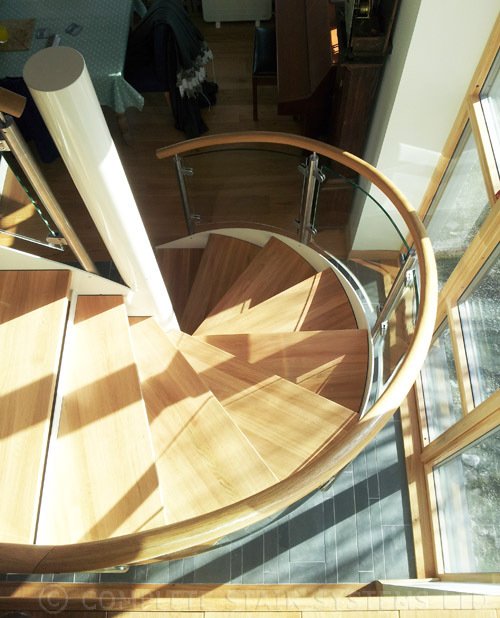 Our client selected oak treads, white powder coated steelwork and some stunning curved glass balustrade. 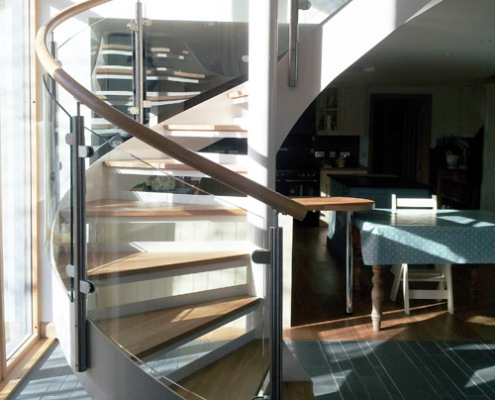 This glass balustrade was continued around the stairwell area upstairs. 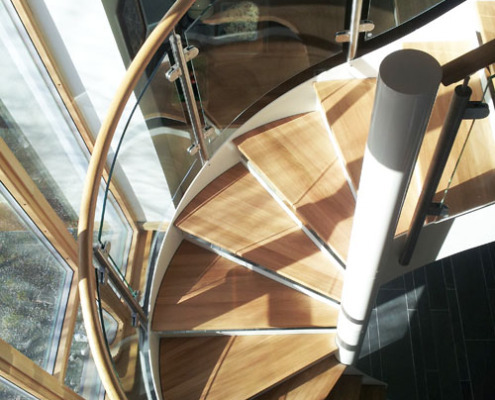 The spiral staircase supplied was perfectly in keeping with the refurbishment being carried out and our client sent these images shortly after completion. 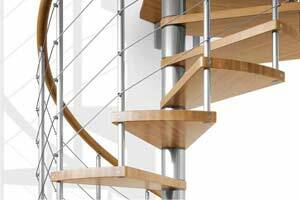 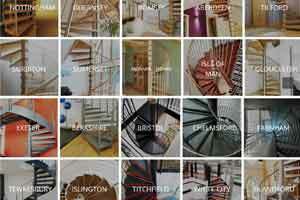 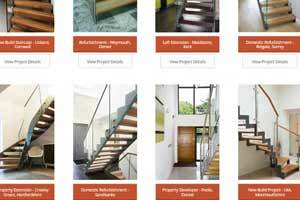 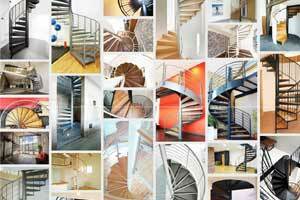 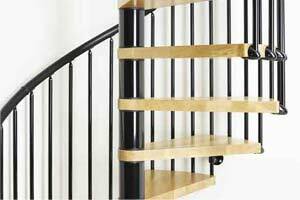 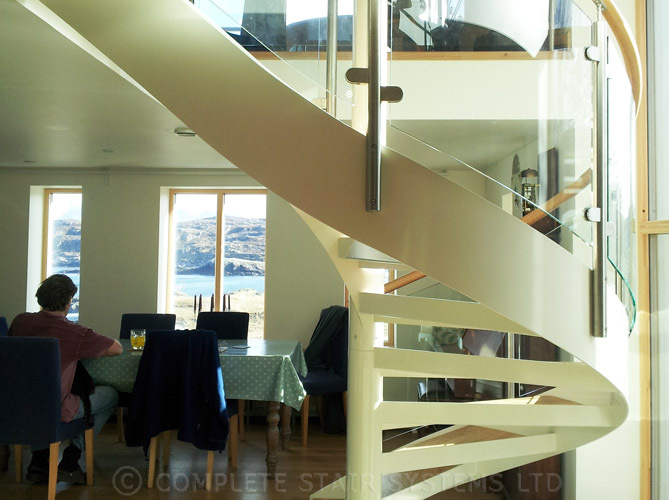 For a price for your unique version of this project ‘Spiral Staircase Scotland – Ullapool’, please fill out the form below and we will forward you a quotation. 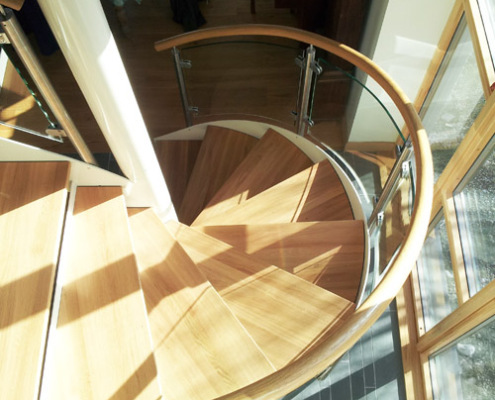 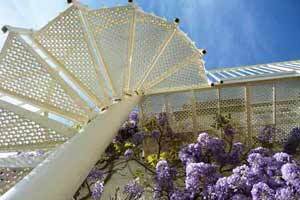 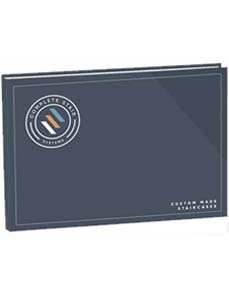 "Our client had a very definite idea in mind from the outset which was very helpful. 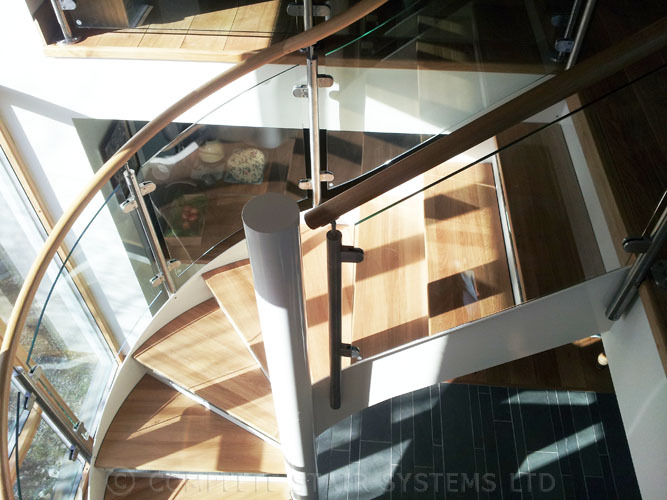 The opening in the floor was the perfect size to ‘show off’ this stunning staircase"